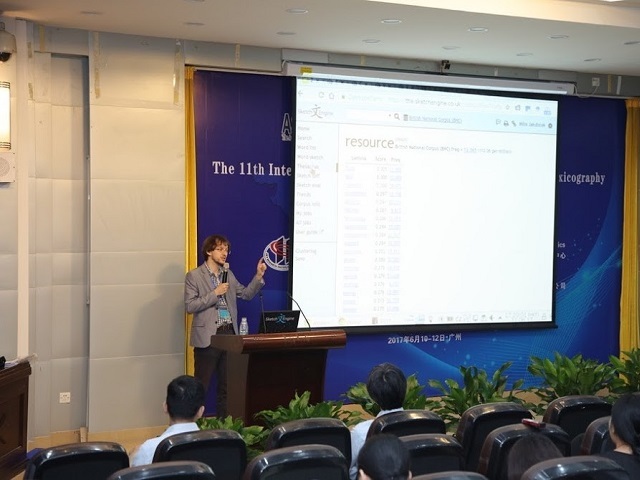 Miloš Jakubíček talked on the impact of Digital Linguistics on lexicography. June 2017. Špela Vintar attended the 10th Leipzig International Conference for Translation & Interpretation Studies, where she presented the results of the DigiLing labour market survey. March 2017. Team member Petra Bago presented the DigiLing project to the participants of the Summer School of Information Technologies and Media. August 2017. 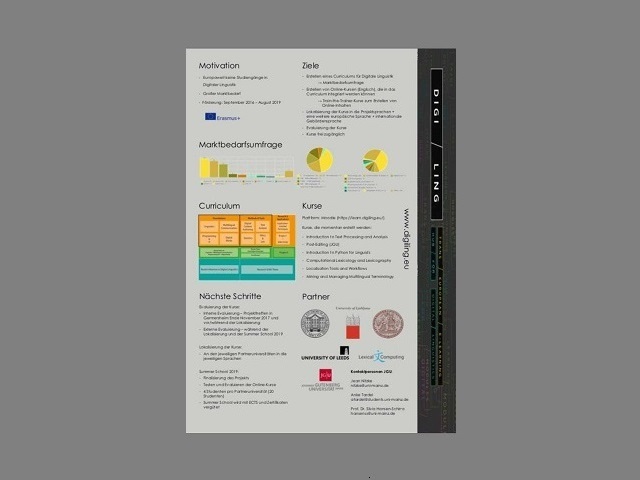 A workshop on Digital Humanities took place at the Johannes Gutenberg University in Mainz. 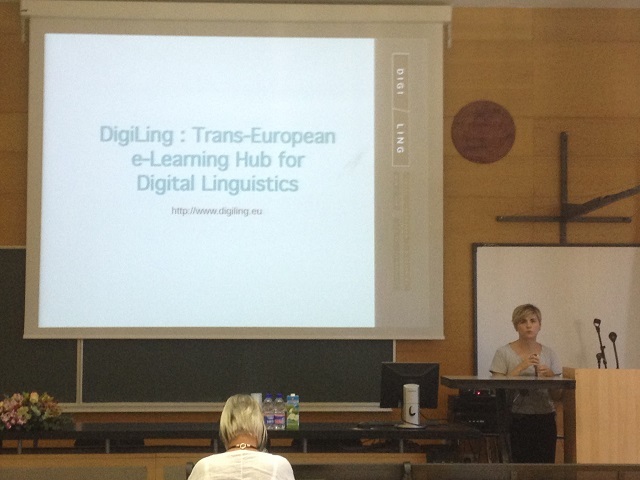 Jean Nitzke and Anke Tardel were there to present the DigiLing project to the Digital Humanities community. September 2017. 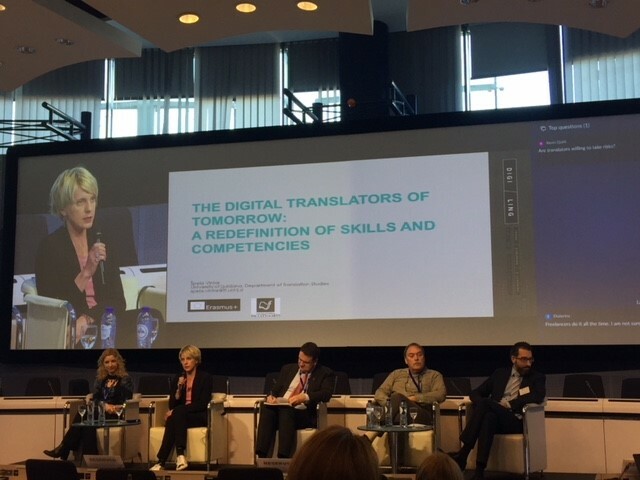 With over 500 participants, #TranslatingEurope Forum is one of the world’s largest conferences dedicated to translation. 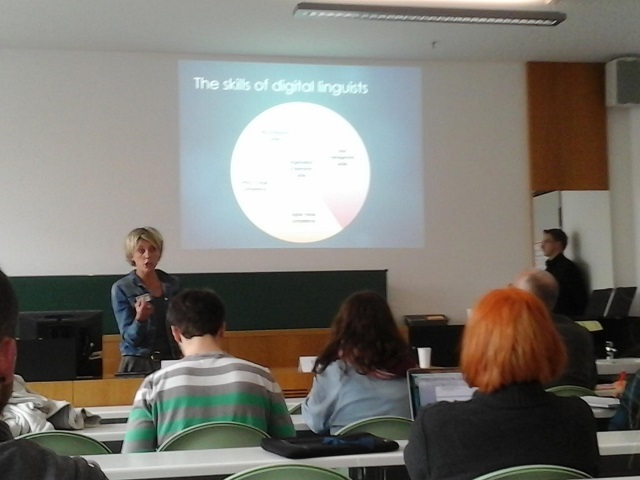 Špela Vintar gave a presentation in which she talked about her vision of the emerging profile of a Digital Linguist. November 2017. 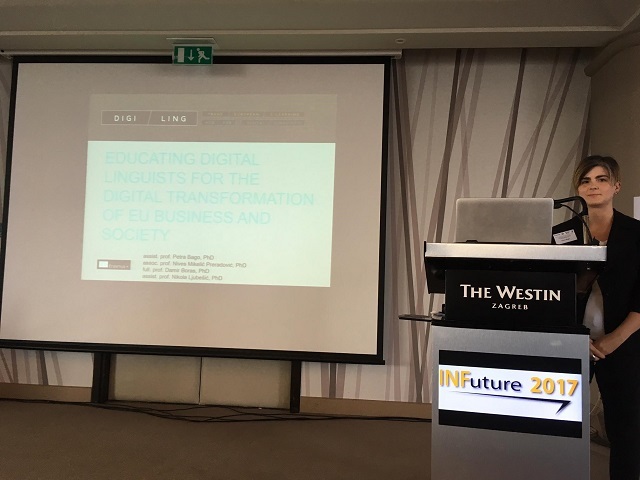 INFuture is a biennial international conference aimed at researchers and professionals from the broad field of information and communication sciences. Petra Bago gave a lecture on future-proofing the education of digital linguists of tomorrow. November 2017. In an article of the Croatian newspaper Večernji list, Špela Vintar talked about translation technologies and their impact on languages. July 2017. Slovenian newspaper Delo published an article on the use of machine translation in the language industry. Špela Vintar was invited to present her views. September 2017. GEA is a Slovenian magazine for popular science. Špela Vintar was featured in their November issue, talking about language technologies and the emerging field of digital linguistics. November 2017.